Some animals smell foul for a number of reasons. In some cases it's a self-defense mechanism; if they feel threatened they will release a noxious spray which will deter any predator. Others may use their musk to mark their territory or keep their food safe from scavengers or it may be that their hair is continually sprayed with their own urine. Read on to learn some fascinating facts about some of the world’s smelliest animals. When millipedes feel they are in danger they curl up into a spiral, with some releasing a disgusting smelling liquid that deters many of the animals that prey on them. One species secretes hydrogen cyanide – a highly poisonous chemical. 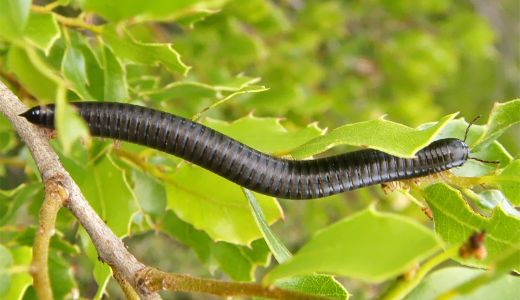 Just one such millipede generates enough hydrogen cyanide to kill a mouse six times over and the gas released by 100 millipedes could kill a human! 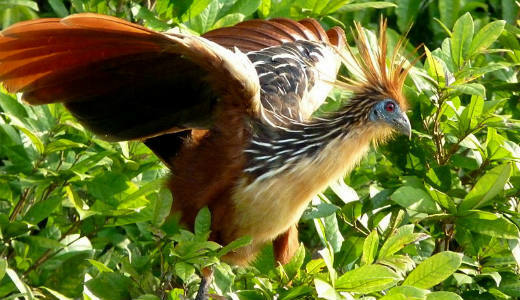 The Hoatzin, also known as the ‘Stink Bird’ is a tropical bird found in the Amazon and Orinoco Delta in South America. The Stink Bird gets its charming name because of its digestive system. The Stink Bird is the only bird in the world that lives almost entirely on a diet of leaves. Using bacterial fermentation in the front part of the gut to break down the vegetable material, and because of aromatic compounds in the leaves they eat combined with the fermentation process, Stink Birds produce a highly disagreeable, manure-like smell. 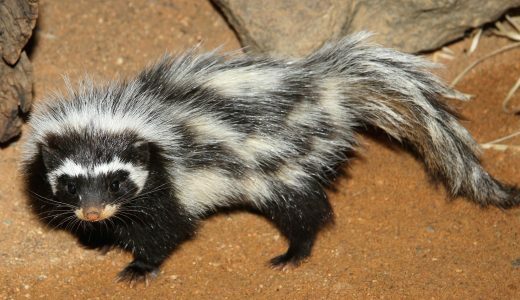 This skunk-like member of the weasel family will use a well aimed, foul-smelling spray (much like the skunk) to deter any would-be predators. Some reports indicate that this secretion can be smelled up to half a mile away! The Lesser Anteater is regarded as one of the most foul-smelling creatures in the animal kingdom. 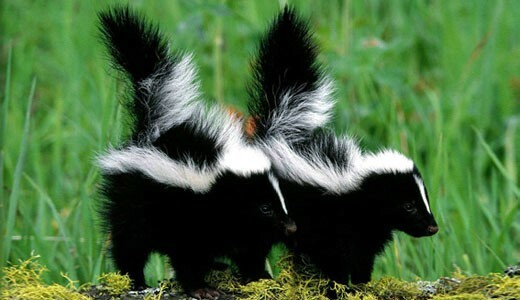 Their pungent odour is about 4 to 7 times stronger than that of the skunk. 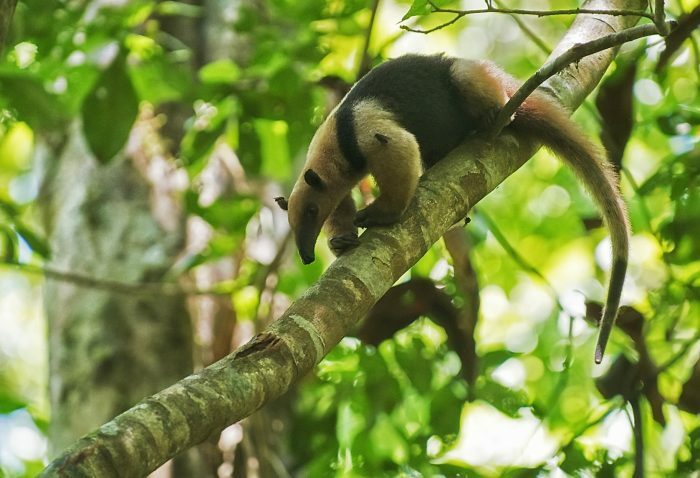 It is possible to smell the lesser anteater up to 50 metres away! 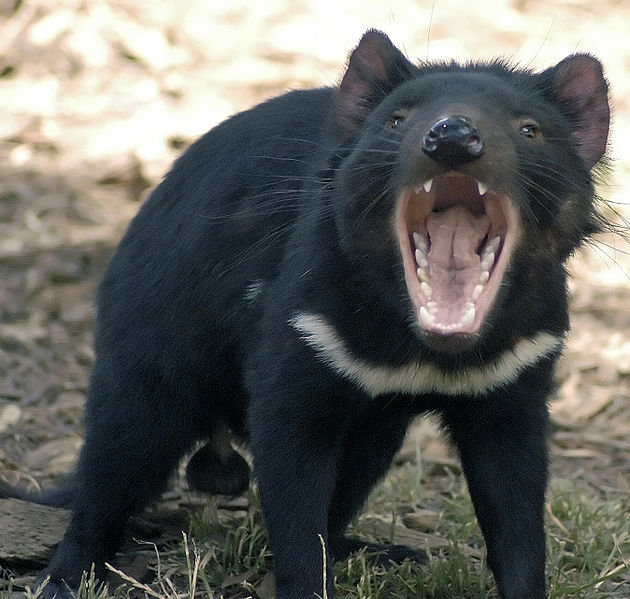 Now found in the wild only on the Australian island state of Tasmania, these creatures can give off a very powerful odour when under stress, this helps them to protect their environment, but when calm and relaxed they are not smelly at all. 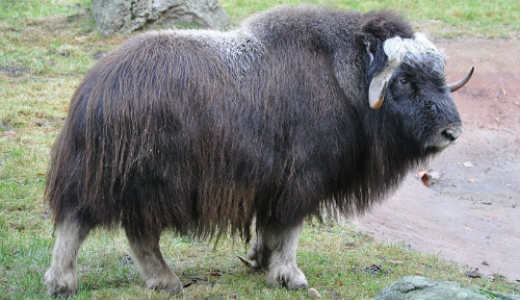 These furry, horned mammals that inhabit the Arctic produce a smelly ‘musk’ from their urine. It is only produced by the males and is used to mark their territory during mating season. When marking their territory, a lot of the urine gets matted into the hair around their underbelly, giving them their distinctive smell – bleurgh! 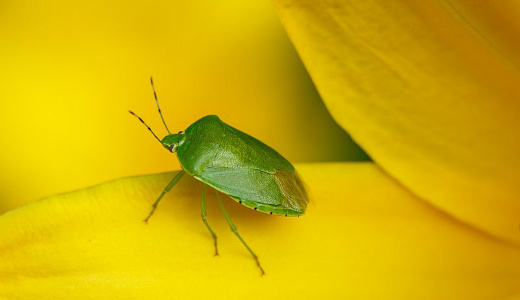 Native to China, Korea, Japan and Taiwan, Stink Bugs are now found in almost every area of the United States after being accidentally introduced. They get their name from the unpleasant odor of the chemical they produce in glands on their abdomen when they are threatened. Some species can actually spray the chemical several inches! Wolverines are shy members of the weasel family, seldom seen by humans. Like most of the weasel family, they have glands that secrete fluid they use to mark their territory. The musky scent is very unpleasant and has given the wolverine the nicknames of “skunk bear” and “nasty cat”. Wolverines will also spray their leftover food and bury it so they can eat it later. Not only does this help them find it but it deters others from eating it! 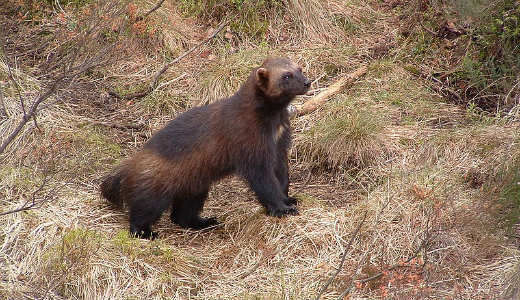 Discover how female wolverines ensure their young are born when food is plentiful in our Animals A-Z section. These beetles are most notable for the defense mechanism that gives them their name. When disturbed they eject a hot noxious chemical spray from the tip of their abdomen. The Bombardier Beetle stores two separate chemicals in its body, hydroquinone and hydrogen peroxide. Whenever it feels threatened the chemicals mix with some special enzymes, heat from the reaction brings the foul-smelling liquid to near 100°C and produces gas that drives the ejection. 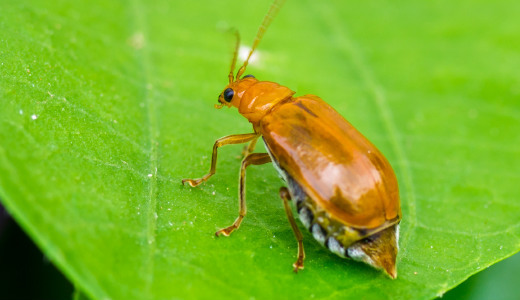 The Bombardier Beetle is able to spray up to 4 times its body length and the damage caused can be fatal to attacking insects and small creatures and is painful to human skin. Because of their lack of speed, skunks do not try to outrun their attackers. Instead, they rely on their rancid spray for protection. The pungent liquid is a mix of sulphuric chemicals which they can spray accurately at threats up to 3 metres away, with the foul odour reaching up to a mile away! Despite the power of their spray, skunks don’t really like to use it as they only carry about 15cc of the chemicals in their body (enough for about 5-8 sprays) and it can take a week to replenish the supply. Want to know which substance is highly toxic to humans but does no harm to skunks?